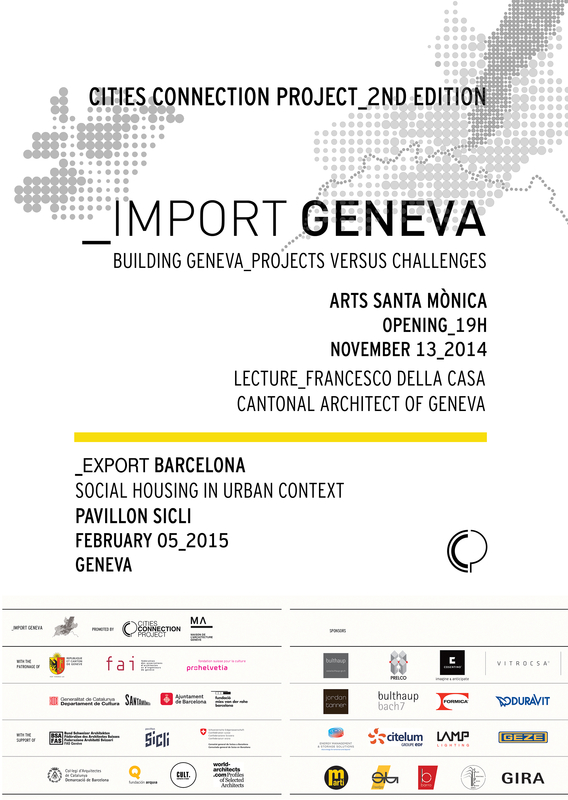 The Arts Santa Mònica Creativity Center will host the exhibition _Import GENEVA on 13th November under the title “Building Geneva_Projects versus challenges”. The exhibition is dedicated to twenty collective housing projects built by Geneva architects over the last 10 years. With the aim to generate synergies between Catalan architecture and Geneva, aside from the exhibition on 13 – 14 of November the _Import Geneva event will also present lectures, architectural tours, discussion meetings with professionals, and several visits to local architecture studios. The opening will count on the presence of Francesco Della Casa, cantonal architect, Etat de Genève, that will deliver the inaugural lecture entitled “Geneva collective housing” and all the swiss architects.